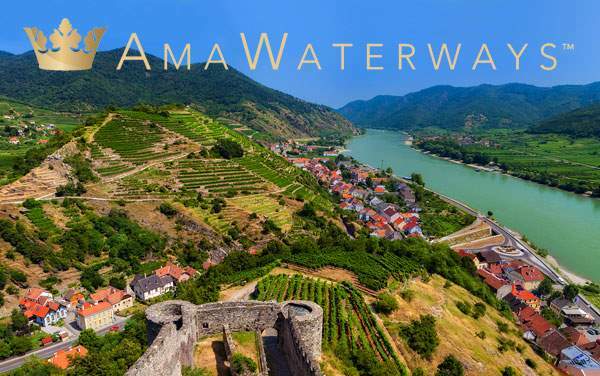 Adorned with colors reminiscent of a vibrant harvest in Europe's renowned vineyards, the AmaLea is in a class of its own on the rivers of Europe. 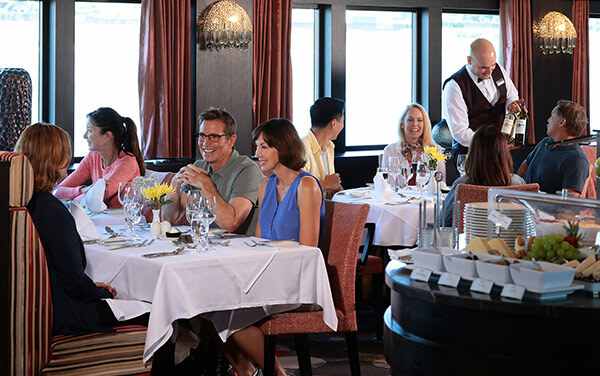 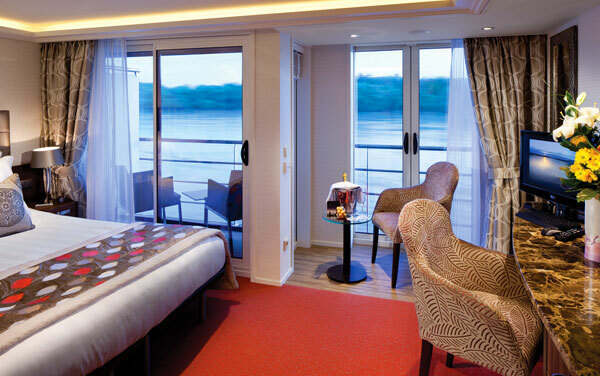 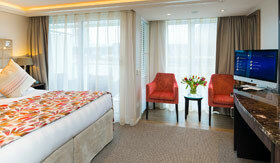 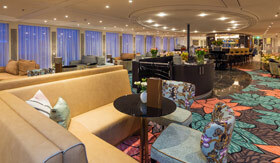 Many staterooms are equipped with AmaWaterways' exclusive twin balconies, a unique coupling of the traditional and French balconies. 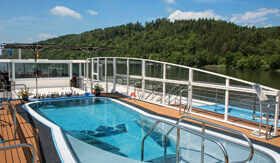 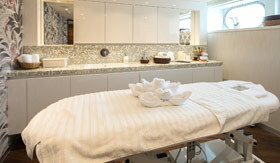 Inspiration for the AmaLea was drawn from the comfort and convenience of a luxury yacht. 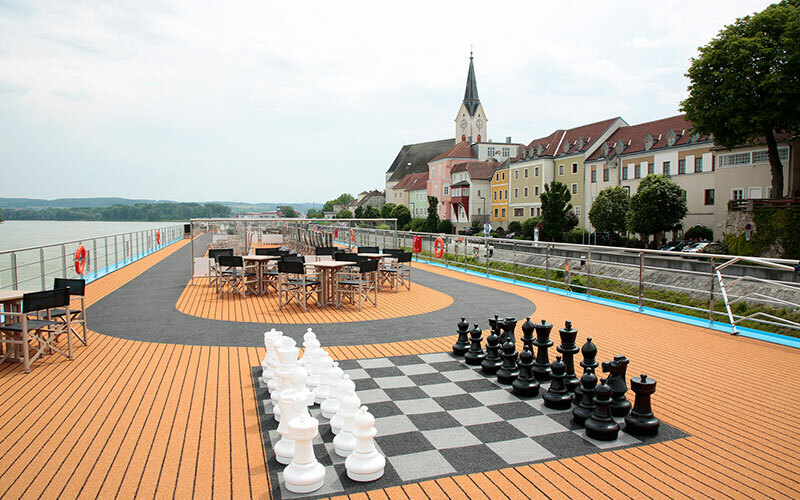 That can be seen in all of her public spaces, each with its own unique style designed to bring comfort and relaxation to Europe's rivers. 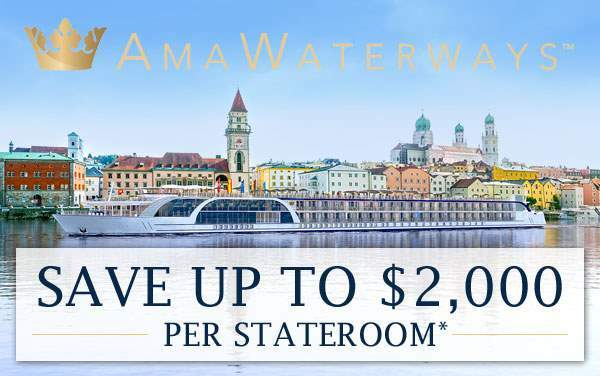 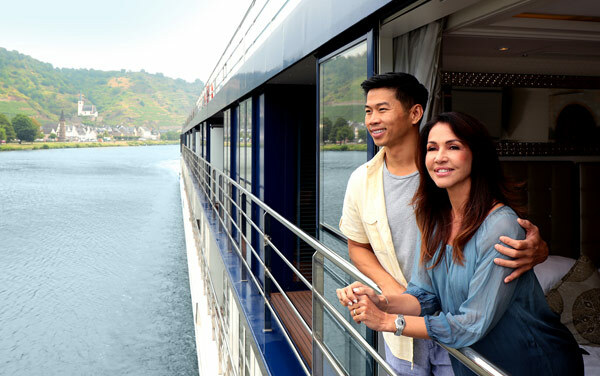 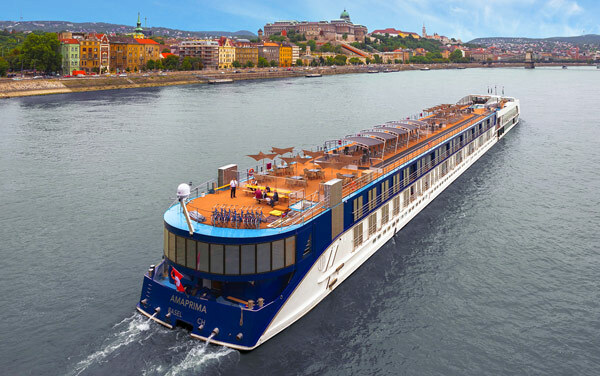 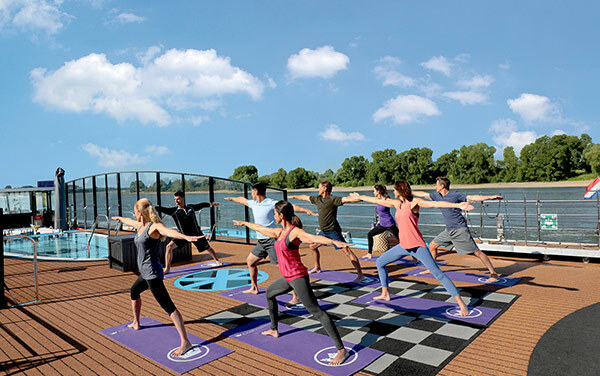 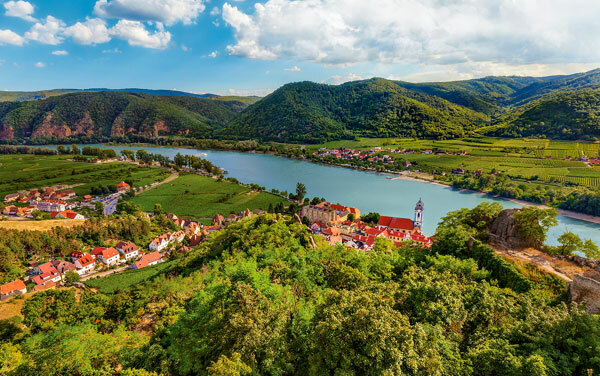 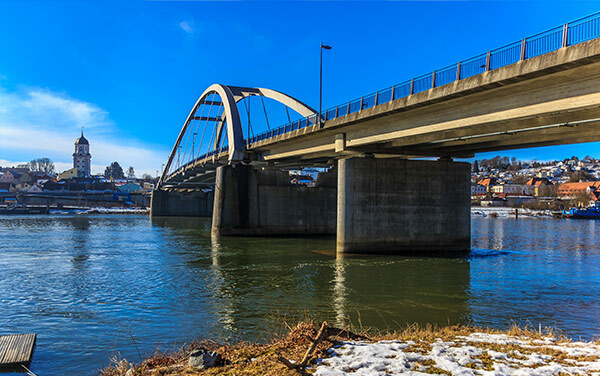 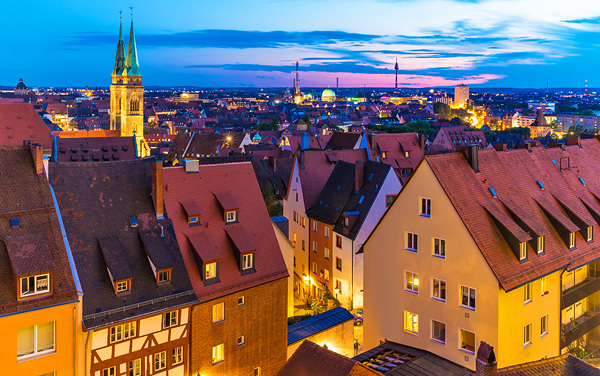 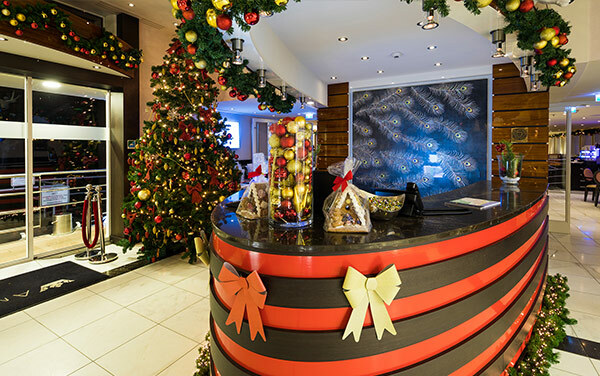 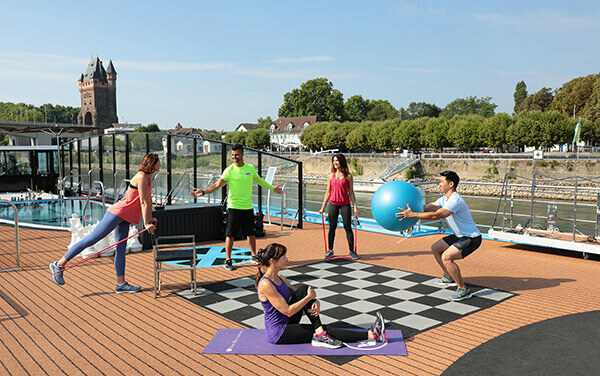 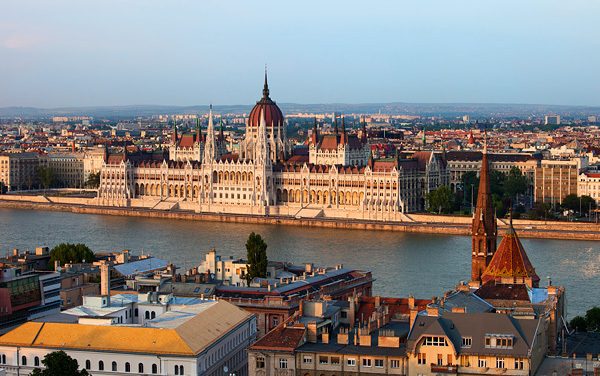 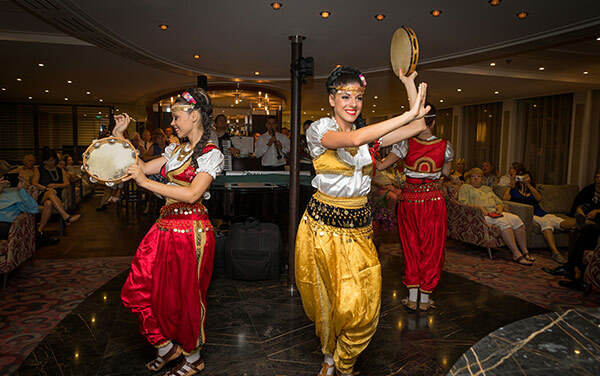 For more information on AmaLea and cruising with AmaWaterways, please call The Cruise Web today at 1-800-377-9383 to speak with one of our expert consultants. 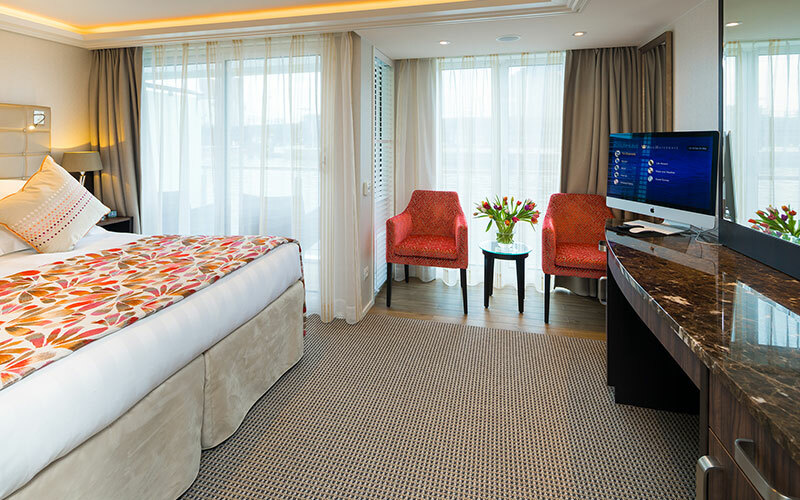 French and traditional balconies come together in many staterooms on AmaLea, allowing you to step outside and feel the wind in your hair, or relax in your luxury bed with a cooling river breeze. 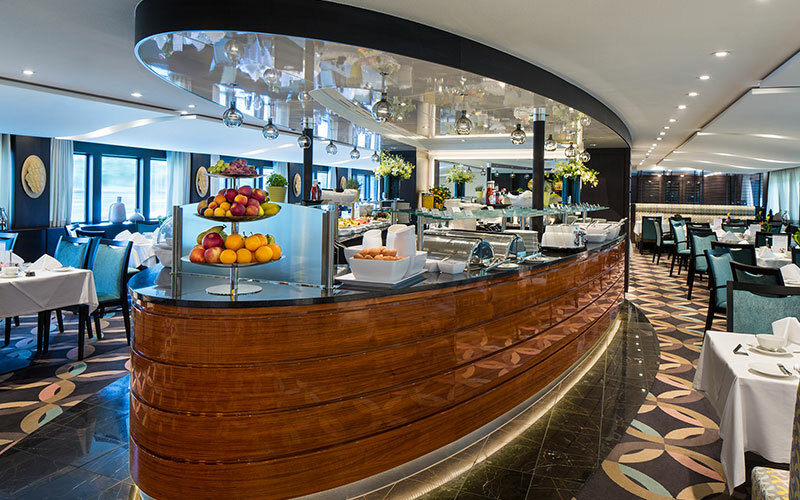 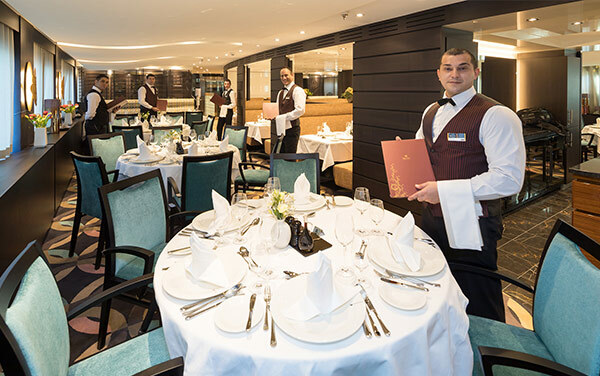 The Main Restaurant on AmaLea is elegantly decorated and serves award-winning cuisine, with top-notch service. 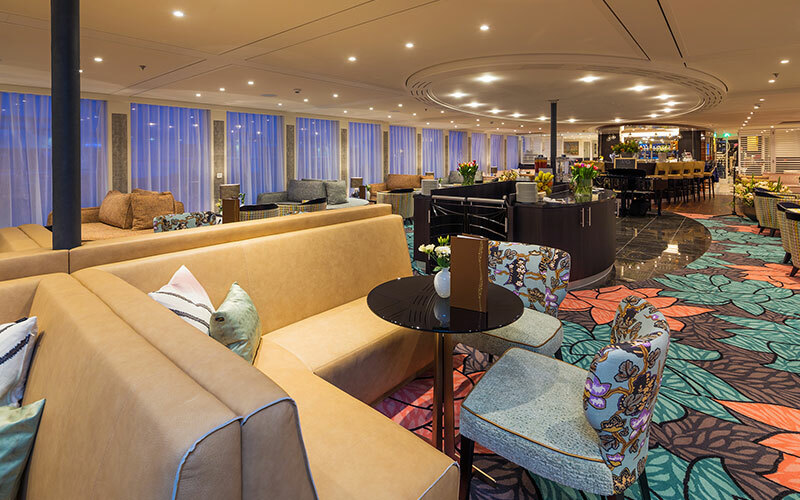 Don't be shocked when your waiter gets to know exactly how you like your coffee in the morning, as well as your evening night cap. 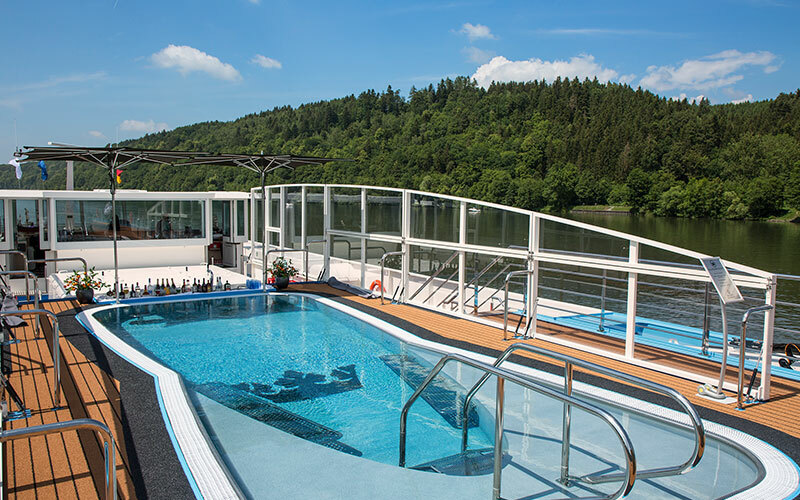 Swim up to the bar and grab a drink while you lounge in the pool on the Sun Deck of AmaLea, all the while sailing by centuries of European history. 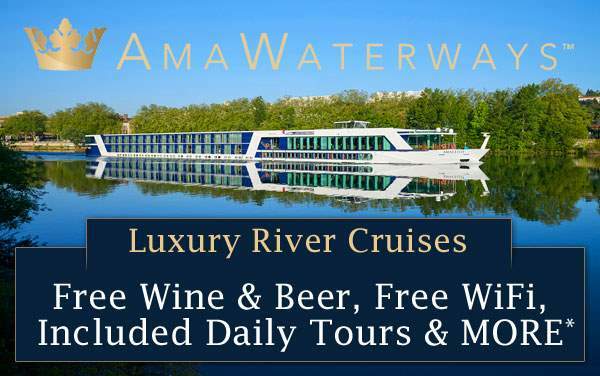 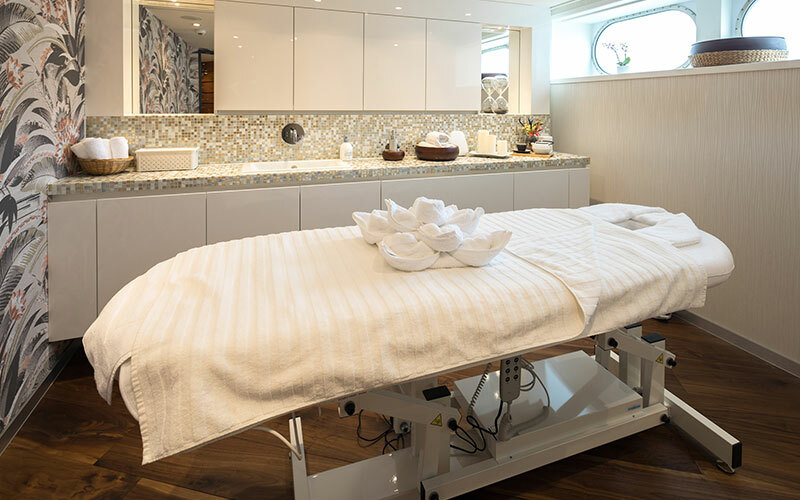 Immerse yourself in each port, enjoying each excursion, before pampering yourself with a relaxing massage or spa service (additional fee). 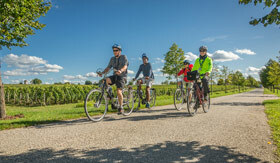 Some ports have guided bike tours, but there is always a fleet of complimentary bikes on AmaLea so passengers can explore the destinations on their own. 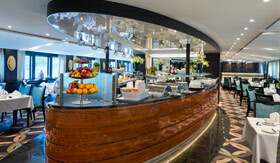 Featuring light snacks and tapas during the day, the Main Lounge is the place to be each night for a lively performance and a gourmet cocktail.